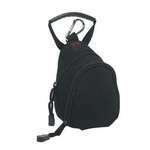 Our customized Metropolitan Compu-Backpack has a padded 15” laptop compartment with Velcro closure. Our branded Metropolitan Cooler Bag features a padded handle and adjustable shoulder straps. 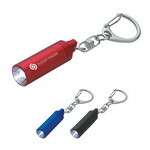 Clip on the Micro Aluminum LED Light with Key Clip to belts, bags, and backpacks, and travel safely in dark areas. 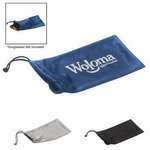 Emblazon your company’s logo on the key clip, to make your brand’s best first impression. Our custom cleaning towel cleans most glass surfaces and features a single custom imprint. The Microfiber Cleaning Cloth in Case is an economical way to promote your brand among a large number of customers, both new and potential ones. 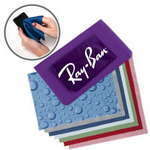 Get rid of smudges and fingerprints on delicate glass and screen surfaces using the microfiber cleaning cloth. The Microfiber Cosmetic Bag is an attractive and useful bag for storing your various makeup accessories. 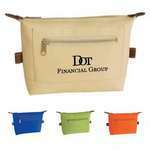 It is available in pleasant colors including royal blue, beige, orange, or lime green. 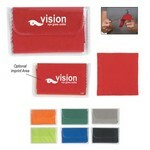 The Microfiber Pouch with Drawstring is handy to carry your sunglasses while you travel. It can also be used to clean your sunglasses. Computer screens, cell phone, and tablet screens, rear view mirrors, eyeglasses, and sunglasses are some of the many dust magnets that require frequent cleaning. Get rid of smudges and fingerprints on delicate screen surfaces with the microfiber screen cleaner in case. 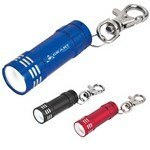 Clip on the Mini Aluminum LED Light with Key Clip and stay safe in dark areas. 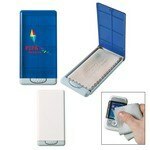 Emblazon your company’s logo on the key clip, to make your brand’s best first impression. The Mini Backpack, in brilliant back, is ideal to carry your things, with panache and comfort. Made with 600D Nylon, this backpack has two zippered compartments; to hold keys, cash, a cell phone, a camera, and other small items. 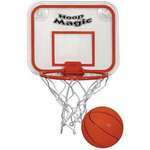 Blow off steam, at work and increase your productivity, with the mini basketball & hoop set. Imprint your logo, on the backboard, and your customers will appreciate you for bringing the fabulous game, on to their desks.